Patricia has been a voice teacher/coach and music educator since 1990. She has a Master’s Degree in Vocal Performance from Arizona State University and studied with teachers such as Dr. Jerry Doan (ASU), Dr. Robert Harrison (CU) and with Richard Best at the American Institute of Musical Studies in Graz, Austria. She taught private voice and directed the Opera/Music Theater Workshop at Glendale Community College in Arizona for eleven years where she wrote and produced a number of Musical Review shows. Upon moving to Colorado, Patricia directed the Boulder Youth Choir, taught early childhood music, was on the voice faculty at Boulder Arts Academy, and volunteered her time at the Kempe Therapeutic Preschool as a music specialist. She created several summer camps including A Ton of Fun Music Theater, and Harmony Outreach, a summer music and arts camp for at-risk youth. In 2003 she began teaching elementary music and directing the choirs at Boulder Country Day School. There she wrote and produced several children's musicals including "The Grasshopper and the Ants" which she hopes to publish soon. Patricia has now turned her sights back to her private voice studio and her own performing. She is working on original music and plans to release her first solo album soon. Patricia has extensive performance experience in Music Theater, Opera, Torch Song, Irish Folk, and Rock, and is currently singing with the local dance and party band Clusterfunk! Patricia has always enjoyed making music with her friends, and especially loved singing with close friends Tanya Brody and Lolly Foy. Together they formed the group Sailors' Dream, a female, a cappella vocal trio specializing in Irish Folk Songs, especially those of the sea. They performed at the Colorado Renaissance Festival and recorded only one album Sailor's Prayer which is available at CD Baby. 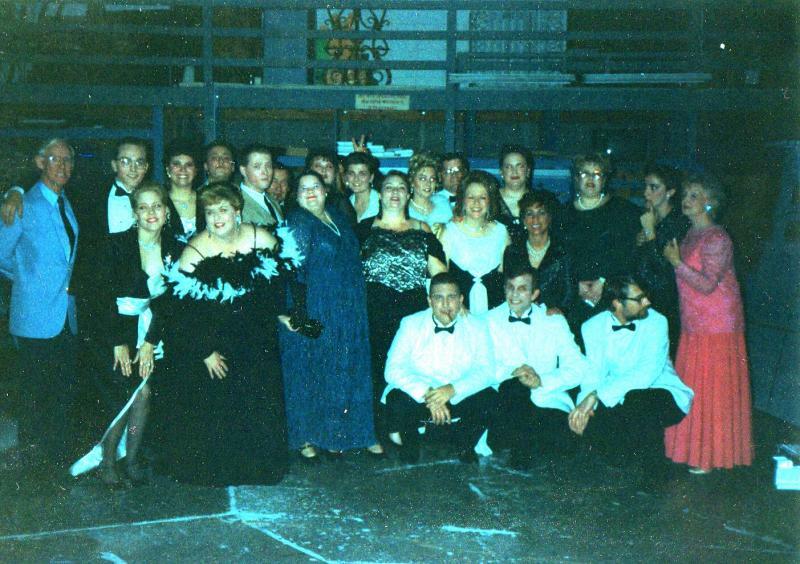 From 1992 to 2000 Patricia had the pleasure of directing the group Canterbury Transfer, an a cappella vocal ensemble specializing in a variety of early Christmas music and Renaissance Madrigals. Well known in the Phoenix area, Canterbury Transfer captivated valley audiences both during the Christmas season and as a favorite at the Arizona Renaissance Festival. The ensemble was comprised of seven Phoenix-based, classically trained singers, many of whom received their Music degrees at Arizona State University. The group brought together years of National and International performing experience in Opera, Musical Theater and Oratorio. A Canterbury Christmas, the group’s second album, received much attention when it was first released in November of 1999 with radio interviews and extensive airplay on Phoenix area radio stations. It was widely distributed at local record shops and is still in demand today. It is available for download at CD Baby.